If you are an independent contractor, you may think that you do not have to carry certain types of business insurance. 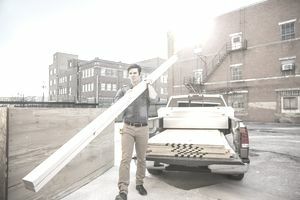 While this may be true in some cases, independent contractors have to protect themselves against any claims of damage caused while on the job. One of the types of insurance you may need as an independent contractor is pollution liability insurance. Pollution liability insurance protects a company against liability from damage caused by hazardous waste materials. This is a coverage needed by businesses that produce hazardous waste emissions during manufacturing including the oil, agribusiness, construction, excavation businesses, waste depositories and asbestos abatement contractors. The pollution liability policy covers bodily injury claims and property damage, along with clean-up costs caused by contamination from toxic waste materials. Before the mid-1980s, pollution liability was covered under the standard commercial general liability policy. However, insurance companies began excluding pollution liability under the general liability policy, making it it necessary to purchase separate coverage for pollution liability. If you are an independent contractor, you will find that many jobs require you to have pollution liability insurance and you will have to show proof of coverage before beginning a job. Environmental clean-up projects can cost millions of dollars. This insurance will protect your financial interests in the event a clean-up becomes necessary. Buying pollution liability insurance will cover your interests against lawsuits where a third party could be injured by a toxic substance produced as a result of your work. While the need for pollution liability insurance is evident for companies whose business involves risks to hazardous waste exposure, such as asbestos abatement or waste depository, if you are the owner of an industrial site not involved in hazardous waste, pollution liability insurance could be a good protection to have. Here is why: the inspection you had performed on the property before you bought it may have missed some underlying hazardous waste. This waste could be discovered years later. Environmental laws are always changing, and you don't want to be caught without the proper liability protection. Pollution liability insurance policies cover claims from third parties against bodily injury and property damage caused by hazardous waste materials released during a company's business operations. This insurance not only covers you while you are completing a job but also covers your "completed operations." In other words, if there is a problem with hazardous waste materials after you have finished the job, you are protected from any liability issues. Where Can You Buy Pollution Liability Insurance? Chubb: Chubb offers the Contractors Pollution Liability (CPL) policy and the Contractors Pollution Liability (CPL) / Errors & Omissions (E&O) policy. Programs can be tailored for small business accounts. There is a minimum self-insured retention of $5,000, and the minimum premium ranges from $1,500 to $5,000. Travelers: Travelers offers Environmental & Contractors Professional Practice Insurance. It is a combined professional liability and pollution liability policy designed to protect against liability risks, pollution liability errors and omissions (E&O) coverage. AIG: The Contractors Pollution Liability (CPL) policy from AIG is designed to cover the risks of contractors not covered by the standard general liability insurance policy. This policy includes product liability coverage and pollution coverage and can be written either on a blanket or project-specific basis. Coverage is available to all construction and commercial services contractors with available limits of up to $75 million. Business owners and independent contractors have to make sure their financial interests are adequately covered by a business owner's policy. If you think you may have a risk of hazardous waste exposure in your business operations, it is a good idea to consult with an insurance professional about your need for pollution liability insurance. If you have an incident at the job site or for one of your completed operations, it is too late to buy coverage to cover your liability risk. Remember, pollution liability is not covered under a general liability policy. Ultimately, the final determination is up to you. Gather enough information so you can make an informed decision about whether you need pollution liability insurance.